Remote viewer Daz Smith sets out on an incredible journey as he works a blind remote viewing target for the Farsight Institute. He’s told nothing more than “this is target 14-A,” but finds himself witnessing the John F. Kennedy JFK Assassination, and JFK’s transformation at his moment of physical death. This video gives an inside look at the remote viewing process and a dramatic example of where it can take you. This video shows CRV – Controlled Remote Viewing being filmed LIVE on camera. 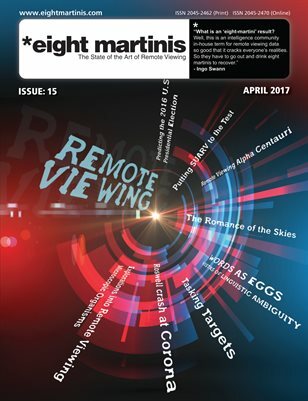 PreviousPrevious post:Remote Viewing magazine eight martinis issue 14 – April 2016 – out now!NextNext post:Remote Viewing 9/11 – A New Intuitive Perspective on the New York and Washington, D.C. Terror Attacks.